Gwen’s life has been a rollercoaster since she discovered she was the Ruby, the final member of the secret time-traveling Circle of Twelve. In between searching through history for the other time-travelers and asking for a bit of their blood (gross! ), she’s been trying to figure out what all the mysteries and prophecies surrounding the Circle really mean. At least Gwen has plenty of help. Her best friend Lesley follows every lead diligently on the Internet. James the ghost teaches Gwen how to fit in at an eighteenth century party. And Xemerius, the gargoyle demon who has been following Gwen since he caught her kissing Gideon in a church, offers advice on everything. Oh, yes. And of course there is Gideon, the Diamond. One minute he’s very warm indeed; the next he’s freezing cold. Gwen’s not sure what’s going on there, but she’s pretty much destined to find out. 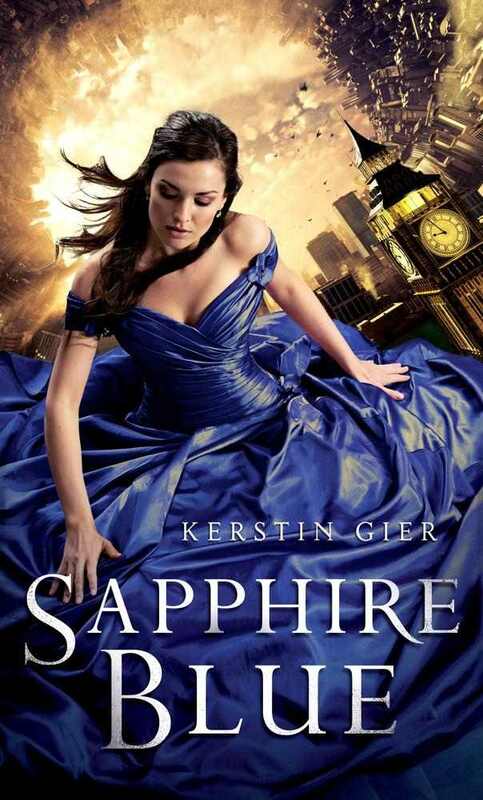 Why am I looking forward to Sapphire Blue by Kerstin Gier? Because I loved Ruby Red! I will, however, admit that I liked the original US cover for Ruby Red over the new cover style that they're using for Sapphire Blue. 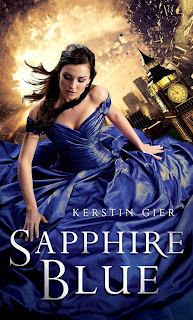 Sapphire Blue by Kerstin Gier is published by Henry Holt and Co. (BYR), a part of Macmillan, and its expected publication date is October 30, 2012. That's gotta be one of the most gorgeous covers I've ever seen! Beautiful choice! OH yes, very excited for this one, too! Book one was so fun! A friend of mine raved about the first book - she'll be keen to check this one out for sure! okay, this book had be at TIME TRAVEL! Then add in mysteries and I'm completely sold. I think the cover is pretty eye catching too. Thanks for bringing this to my attention! Love love love the cover! Never heard of the books, but they sound SO COOL! New follower. I love that dress, in just pops. I still haven't picked up Ruby Red, though I've heard good things about it (and time travel is always cool). Nice pick! If you'd like, you can check out my WoW here. I haven't read Ruby Red yet, but I DEFINITELY PLAN TO, because. Well. Wibbly-wobbly timey-wimey stuff! Automatic awesome. The dress on the cover is gorgeous! I LOVE the color. Welcome! Sometimes you just need a place to ramble about books. For Kristin, this is that space. ★★★★★ : I loved it! Would highly recommend this book. I couldn't put it down. ★★★★ : A very good read. You may want to pick up a copy. ★★★ : A decent book. There were things I didn't like about it. ★★ : It wasn't that good. If the genre and plot seem interesting to you, maybe you'll like it more than I did. ★ : Couldn't convince myself to read the whole thing. Wasn't that interesting.